We moved into our new home an hour away from the familiar with a two year old, a dog, loads of boxes and a second child in my womb. My husband’s occupation moved us from close friends and family and I must admit, I was none too thrilled to be leaving the comfortable and secure. Moving to another city where I knew no one was not part of my plan. Not to mention I was just a month shy of delivering the aforementioned baby. Ten days after the moving trucks pulled out of our new driveway, my water broke. Our second child was coming three weeks early – ready or not. When we returned home from the hospital, my husband’s new job required long hours and he definitely felt the stress of being the sole provider for four people. I felt very alone at a time when I needed friends. Desperately. Between feedings and twenty-minute naps, my heart longed for our former community. We had lived near my two closest friends and I saw them daily. Friends since middle school, they knew me inside and out and I was so excited to live so close to them as we were starting our families. We giggled over our young children and dreamed of raising them together. Yet God had other plans. Months after my son’s birth, I felt like an outsider when I would see women near my age together. Whether they were laughing at a shared joke at McDonald’s while their children played or having coffee as I sat in the drive-thru line of Starbucks, I felt like I was on the outside looking in. It seemed like everyone else had friends – except me. My poor husband certainly began to notice the longings of my heart, too. Tired at the end of the day, he would stumble through the door and I would pounce on him. An adult! Someone who will eat something other than Cheerios! Someone who can carry-on a conversation! Yet I soon learned that while our husbands are a blessing, they can’t be our everything. I took off the mask I wore before the throne and allowed His light to shine on my bare and broken face. This is where the healing begins. I shared the desires of my heart and started to pray that God would place healthy women who loved Him in my life. I won’t say it was easy. God did some serious work with me during that period of “friendlessness” and sometimes, it was just plain painful. God wanted to perform open-heart surgery and for the first time, I allowed Him to cut through my chest. During this surgery, He revealed that sometimes, my relationships become an idol – in other words, I place their importance over His importance. He also showed me that too often, I expected my husband to fulfill needs only God can fulfill. I can’t imagine the pressure I placed upon his shoulders as I subconsciously communicated unrealistic expectations he would never attain. Eventually, I felt the nudge to start dipping my toe into the friendship waters. I joined a Mothers of Preschoolers (MOPS) Group. I enrolled in a Bible study at my church. I asked new acquaintances over for play dates. All beyond my comfort zone but made bearable through courage instilled from God. I also felt led to be more authentic in my relationships – for the first time ever. My new transparency with God allowed me to be more transparent with others. When we’re transparent, we’re vulnerable - and vulnerability is the key to all healthy and authentic relationships. Maybe you’re feeling alone right now. Maybe you feel like everyone else has great friendships and you don’t. Maybe the thought of being vulnerable with another person scares you to death. Or maybe God just wants it to be the two of you for a while. Regardless, friend . . . don’t lose hope. Pray for godly girlfriends. Keep having the courage to “put yourself out there.” And keep going – so often, we quit before we see the fruits of our labor. Most importantly, trust Him to do His work on His timetable. Because God’s timing is always perfect and the wait is always worth it. 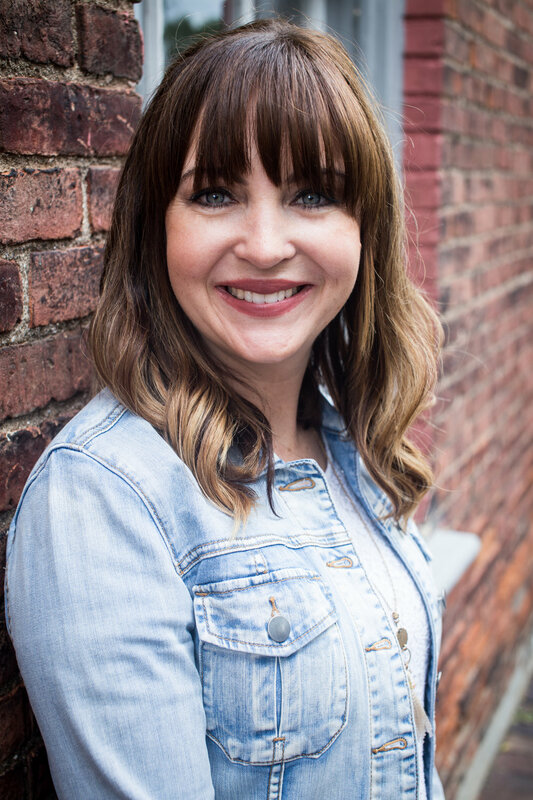 Natalie Chambers Snapp is a Jesus-lover, wife, mother, writer, speaker and book lover. Her first book, Heart Sisters: Be The Friend You Want To Have, was released from Abingdon Press on April 21, 2015. She blogs at www.nataliesnapp.com in between dealing with laundry, shuttling kids and potty-training a very naughty puppy. Have you ever been hurt by a friend? Struggled to balance friendship with everyday life, or experienced a friendship “break-up”? Friendships with other women are as important to our mental, physical and spiritual health as rest, exercise and prayer. We don’t just want friends – we need friends. Yet sometimes they can be as difficult as singing a song without the lyrics. · Discover the secret to authentic friendships.